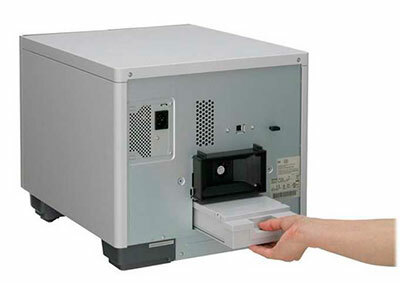 The ink pad is a part that absorbs waste ink ejected during head cleaning or printing. When it is time to replace theink pad, publishing is no longer possible. 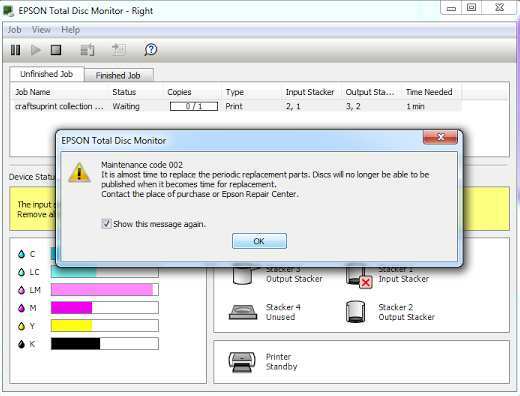 - when [i] appears in the Printer status display of EPSON Total Disc Utility, it is almost time to replace the ink pad. Clicking [i] displays a message: "The ink pad for this device will be full very soon. The device will stopfunctioning when the pad becomes full. Please consult your manual and take the recommended actionimmediately." - when all the lights on the control panel turn on, it is time to replace the ink pad.